Would you like to increase the number of people who contact you for lessons by phone, email, or through your Web site? If I told you that there was a trick that would automatically increase your enrollment and revenue… would you be interested in learning about that? There is such a thing. 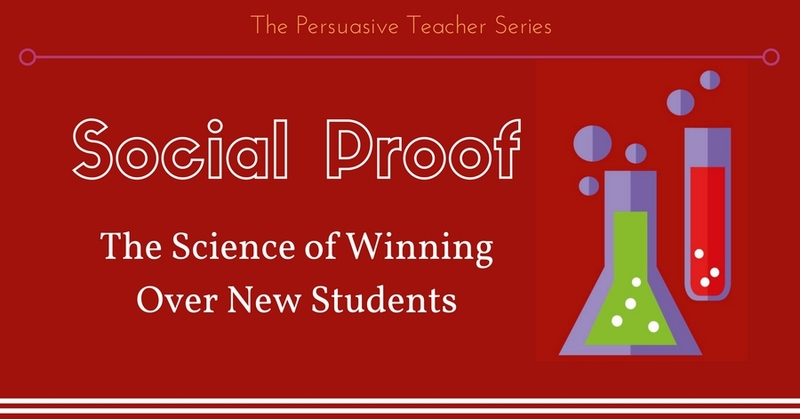 This is the second post in a series of six posts about becoming a persuasive teacher. 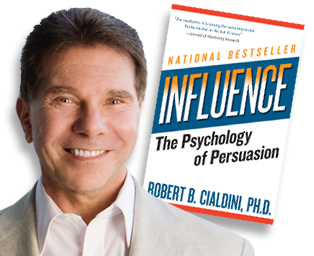 Persuasion is the ability to tap into the “shortcuts” that have been hardwired into the human brain. This isn’t wishful thinking… this is science. Why should you learn to be more persuasive? It’s simple. If you don’t learn to be more persuasive as a teacher, you will find it difficult to move towards your goals. It will feel like running in water. You won’t have the power to control your life or studio. You won’t have the power to influence yourself or others. When you learn how to be persuasive, many problems that plague other teachers “magically” disappear. Say goodbye to late payments, low enrollment, lack of enthusiasm towards your studio and music, or “problem” families. You will attract the right kind of families to your studio. There will be more people than you can handle. Not only will the quantity of people increase… the quality of your students will increase. You will find yourself impressed by the number of students who seem excited and dedicated to your music studio. In the previous persuasion post, we learned about how to use generosity to influence the world around you. We are now going to unleash the power of the 2nd persuasion trigger on your studio. That trigger is social proof. Social proof is the name given to the human tendency to do what others do. We view an action or behavior as more correct in a given situation to the degree that we see others doing it. Why does this work? How does this work? Every fall, new TV shows come out on network television. Within a few weeks, you begin to hear commercials stating that the show is the “#1 show on television” or “the most-watched crime drama”. Bartenders and performers put out a tip jar with a few $5 or $10 bills already inside. Studies show that doing so increases the chances of others tipping. Therapists have helped children confront their fear of dogs by showing them a video. For 20 minutes each day, the child would watch a video of a boy playing with a large, friendly dog. Within four days, the subject was willing to remain in a small space with a dog. After 30 days, they showed more “pro-dog” attitudes than the population at large. Why do these techniques work? Some of these look quite obvious. Surely we wouldn’t fall for these tricks, right? Wrong. Science shows us otherwise. Our brain uses mental shortcuts. It has been built into our biology. These shortcuts help us cope with many life circumstances that have no clear “correct” action. This is how it should work! Here’s how we can use it in our studios. Now that you understand how social proof works, here are three solid tactics that you can use in your studio. These tactics do not require a lot of skill to implement. You won’t need to go back to business school. They won’t even take a lot of time for you to put in place. They are simple tricks that can work wonders for your enrollment, your job satisfaction, and your relationships with studio families. There’s no better way to show social proof than with social media. Having 1,000 fans on Facebook says a lot more about you studio than having 100. Most studios (even large studios) have less than 200 fans. You need to invest time and money into growing your following on social media. When you do, you are subconsciously telling current clients and new clients that there is something special about your studio. How can you grow your following? Idea #1. Leverage your current students. Make a big push with your current families to join your studio Facebook page or Instagram account. Send out weekly newsletters to your current families. But, you should not just ask them to follow you on Instagram or Facebook. That is bad marketing. Give them a reason to join you! By telling a story! Show your customers what is happening in your studio. Did you buy a new piano? Write a post about the piano. Tell everyone how it will improve the quality of taking lessons. Did a student pass a book in record time? Brag about them to everyone who follows you. Did one of your students perform a piece with some extra pizzazz or artistic sensitivity? Let everyone enjoy his or her hard work with a video of that beautiful performance. Don’t be selfish! Don’t hide all the amazing things that are happening in your studio. Share them with the world! After several weeks of newsletters, you will most likely get a near 100% “join” rate for your social accounts. I give many more ideas about how to effectively use social media to grow your music studio in my free Facebook guide. I give away a complete social media strategy for music schools in the guide. Once you “seed” your social account(s) with current students, you can take it to the next level by reaching new people. One way to do this is to run a “Likes” campaign on Facebook ads. This is an ad type that doesn’t promote any single post on your page. It promotes your page itself! Facebook has a short video tutorial and article to explain how to set this up in the ads manager. This will take less than 10 minutes to set up and run. You can do this for as little as $1 per day. Here’s Facebook’s tutorial on how “Like” ads work. If you’re a little more advanced, read Jon Loomer’s guide on creatively targeting new customers for your business. And, if you are really new to Facebook ads, read part 3 of my teacher’s guide to Facebook that I mentioned above. By the way, if your studio is on Instagram, you can use similar strategies. 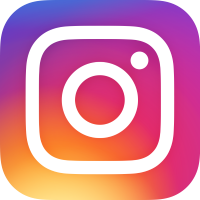 Instagram’s ad product allows you to collect followers to your channel. As always, make sure that you are only targeting people who are close to your studio location. All you have to do is draw the crowd! Once you draw in a new prospect, make sure that you give them opportunities to see your social accounts. Highlight them in an email. Put links to them on your Web site. Point them to performances on YouTube or Facebook video. Their psychology does the rest. Another way to show social proof is to highlight what others are saying about your studio. 1. Reviews. Do whatever it takes to get your current students to leave reviews. Have them leave reviews on your site. Ask them to leave reviews on Google. Direct them to leave reviews on independent review sites. Get them to leave reviews for you on Thumbtack. People won’t read every review, but the sheer number of reviews that they can find speaks volumes. One of the teachers that I coach has 47 reviews for her business. Your brain gives a different level of respect to a studio with 47 reviews with a 5 star rating. You are impressed. That is persuasion in action. 2. Testimonials. A testimonial is like a review. 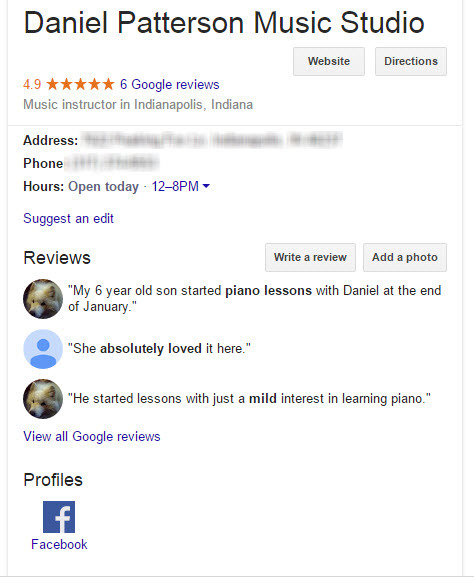 A testimonial is a personal story by a parent that describes how your music studio made a difference for their child. This can be within a review or highlighted on a special page on your site. Imagine the impact of a dozen stories written by your customers describing how your studio sparked a love for music in their child. If you don’t have some mechanism to capture reviews or testimonials on your Web site, you need to get one. I go into detail on how to do this on the Testimonial Technique post. 3. Case studies. A case study is like a testimonial. But, instead of a parent writing the story, YOU write the story. This is a way to highlight the progress or special achievement that a student has made. Again, it’s great social proof because it shows others how powerful a studio you have. Not only will it influence new customers… it can show your value to current students, as well. A story about another student’s success speaks 10x louder than you just telling someone how great your product is. I recently did this myself. I showed the rapid progress that one of my coaching clients made. After publishing that post, I received many comments, emails, and requests from my readers. The Mirror: Who Is This For? In Influence, Robert Cialdini points out that part of social proof is showing your customer that people just like them have used your product and succeeded. To that end, you need to get to know your customers better. You need to know exactly what kind of questions, fears, and hopes they have when they are looking for lessons. A great way to do that is to survey your current customers. I think this is so important, that it was the first topic I wrote about when I launched this blog. Understanding your customer is one of the most important things you can do to grow your business, make more money, and earn the respect of your customers and community. Learn the objections that parents have to beginning lessons. Learn their fears. Learn what their goals are for their child. When you understand your customer, you can begin to weave the rebuttals into your case studies, your Facebook posts, and all your marketing. By showing people that people just like them not only began lessons… they succeeded, as well! This is GRADE A social proof. Post uplifting pictures and short stories to Facebook and Instagram. Highlight the types of people that came to you by asking parents in your studio to write testimonials. Introduce those testimonials with an editorial comment describing the parent and student. Help parents overcome their fear to begin lesson by describing how your program worked for a variety of students. I recently had an email conversation with a reader. I was surprised by something she said about my recent case study. That was a helpful bit of feedback for me. I know that others might feel the same way. What I’d like to say to you in closing is that I am holding nothing back on this blog. I didn’t grow my studio overnight. It was through learning the same things that I’m sharing with you here. No single tactic or strategy that I reveal here will help you grow overnight. But, consistent application of the ideas given here will result in more students, a successful studio, and a happier career. Do you want that? It’s waiting for those who work for it. If you think this post was persuasive, you should talk to me on the phone. That would be a really persuasive experience. Do you have phone anxiety? Then maybe just leave a comment below. Daniel Patterson is a private teacher, writer, and marketing consultant for music schools. He began teaching in 2004. He co-founded and led marketing operations for a summer music camp that sees over 200 children each summer. Any advice for moving to a new area and starting a Facebook page at the same time? I’m guessing the page would tell the story of what is coming and build anticipation? I guess that’s the the same question as if you are starting from scratch and don’t have happy student photos to post. Thank you! How do you get eyeballs on your Facebook page? I have two and they are both linked to my website and everything else I can get away with. I have even tried using a variety of hashtags that include my geographic locations. My students and parents insist that they are too busy to go on FB. In addition, I am working with young children so I have qualms about sharing them on FB. I suspect the parents do too. I posted videos of my high school students who are quite advanced but that is not increasing the number of preschoolers I would like to get started. 1. When parents first contact me (even before they join my studio), I make sure every email contains a link to my Facebook page. Then, after they join, I send out an email asking them to join. In all… they probably get a half dozen emails with a link to join my Facebook page. One of them is a direct appeal. If they don’t join after that, they probably will never join. 2. I directly advertise my Facebook page with Facebook ads. 3. Definitely download my Facebook guide (as of Fall 2016… there’s a link at the top of this page). It goes into greater detail on 14 separate ways to get eyeballs on your Facebook page. They are quite effective. I started implementing some of Daniel’s suggestions this spring. My student roster has increased 60%! I think the suggestions which have made the biggest difference for me have been smiling students on the Facebook page, the free trial lessons, and using Google Calendar for scheduling. I’m really happy about how my business is currently running and I’m so excited to have the opportunity to work with more students! Laura, your results are because of 1 reason… YOU DID THE WORK. I can’t remember where I heard this, but they did this cross-section of entrepreneurs, small business owners, billionaires… successful people at different levels. They were looking for commonalities between all of these successful people. What was their secret? Was it the books they read? Was it a personality type? Was it their parents? All of these people would learn something new… and then they would instantly try to do it. They wouldn’t wait. They wouldn’t try to learn more. They wouldn’t strategize or plan. They didn’t try to assess the risk or cost. THEY JUST DID THE WORK. I would recommend that every reader do what you did, Laura… put it into action! Great information. Thank you for sharing! Dima, glad to hear from you again. Also… glad this helped! Thank you for sharing valuable marketing tools to attract more clients. Most of students that I teach are from two local music studios where I teach as a contractor. This means I get paid about half the tuition fees in comparison to private teaching. (And I have handful of private clients.) I wish to implement your marketing ideas to attract more private clients;however, there’s fear that I may not acquire new students once I make myself available – and suffer finacially as result. Do you have any recommendations as to how I should proceed? I think losing half of your lesson fees is a losing deal for teachers. That’s an awful lot of money to lose for just having the security of having a dozen or two dozen students. We should talk, I will send you an email. Teachers — I’ve talked with Daniel about promoting my studio. He’s GREAT. HIs advice was solid and helpful and I’m using his tips and techniques to grow my studio. Talk to him! Eden, it was a great conversation that we had a few months back! Glad to have helped! Why I Hired a Teacher for my Music Studio – And Why You Should, Too!